If you think beaches are just sand, salt and waves, think again. Studies show that 71 percent of the earth is covered by ocean, so you can bet that there are some strange seaside destinations tucked here and there among the typical postcard white sand and palm trees we generally associate with the shoreline. Here are 8 unique beaches around the world that’ll get you saying “oooooh” and “ahhhhh.” Some of these might even even make their way onto your travel bucket list. Scoop up a handful of this cornmeal textured sand and take a good look, because you will discover that you are cupping hundreds of tiny fallen stars. Ok, so maybe they didn’t actually fall from the sky, but you might be baffled to see that each particle of sand is intricately star-shaped. The grains are actually the exoskeletons of foraminiferans. 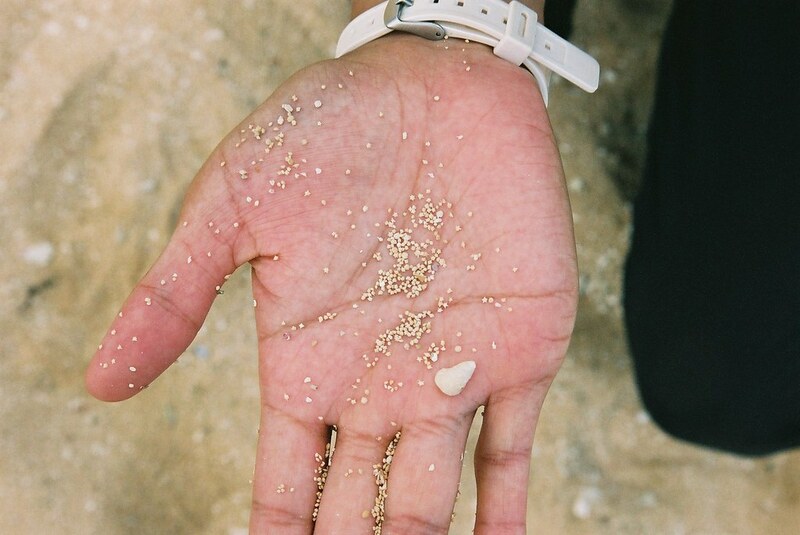 These minuscule marine organisms have been washing up on Iriomote’s shores for years, and tourists visit every year to behold the curious star-studded sand.